PREMO is taking advantage of the wireless devices being embedded in new generation automobiles by offering a full range of wireless sensors for all types of non-critical systems inside vehicles. 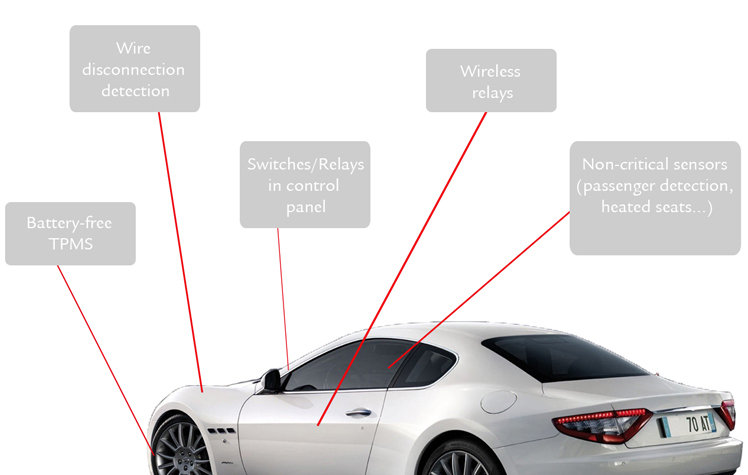 “Bluetooth Technology – these wireless sensors communicate with the automobile’s ECU. These sensors only need power supply circuitry so data network wiring and connectors are eliminated. Battery-free RFID Technology – these sensors are battery-free on top of working wirelessly. Energy is harvested wirelessly from the ECU so no wiring or connections are needed for power supply nor data network.